The most common quality issues on textile products, that Buyers of Clothing and Textile must be aware of? First is some quality issues are due to the materials and accessories. and Second is some problems are due to the patterns or to the way the fabric was cut. A common temptation for factories is to reduce fabric consumption. work with a good cut & sew workshop. And make sure they don’t subcontract to a cheaper workshop. Don’t push them to rush production. If you have a firm delivery deadline, make sure all the samples’ approvals are done well in advance. Many buyers send an inspector once during the sewing process, and again after production is done. By catching issues and giving feedback to the sewing line leaders, this approach tends to improve quality. Pre-shipment inspections are the last time quality can be checked in China and are essential. What sort of tests and quality checks are essential in Clothing and Textile manufacturing? a. Appearance: do they look good as presented at point of sale, when unpacked, and when worn? Are colors and fabrics the same as approved? b. Conformity of workmanship: is production conform to approved pre-production samples? c. Construction: are the stitchings strong, will the garments survive normal wear & tear for a little while, etc. d. Measurements: will the fitting be good, in each size? e. Finishing: are the garments ready to be sold, or need further work? g. Packing and labeling: is it conform to the buyer’s requirements? 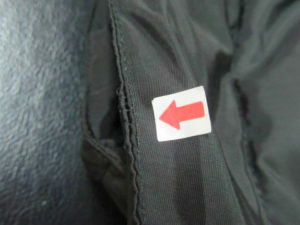 For some textile products such as underwear, measuring the height of the garment on the hanger (because of shelf space and outlook consistency). What sort of product information must the buyer provide to the Third Party Inspection company? And they usually have a packing manual that provides general rules about the size of cartons, shipping marks, polybags, folding way, and so on. For a small company that starts to purchase garments, this is not a super-human effort as long as they have a template for inspiration. How can 3rd Party Inspection help importers prevent quality issues when buying Clothing and Textile from China? Manufacture by Alibaba, sell on Amazon, who should assume the responsibility of quality? 2 classified appearance quality requirement in garment industry.